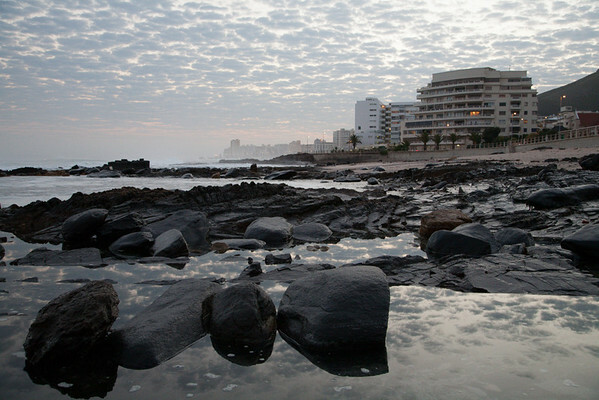 Rock pools at dawn - 1. Rock pools at dawn - 1. Taken at Seapoint, Cape Town with my Canon 5D and 24-105 mm f/4 at 32 mm. Exposure was 1/50 sec at f/5.0; ISO 1600, EV -1.